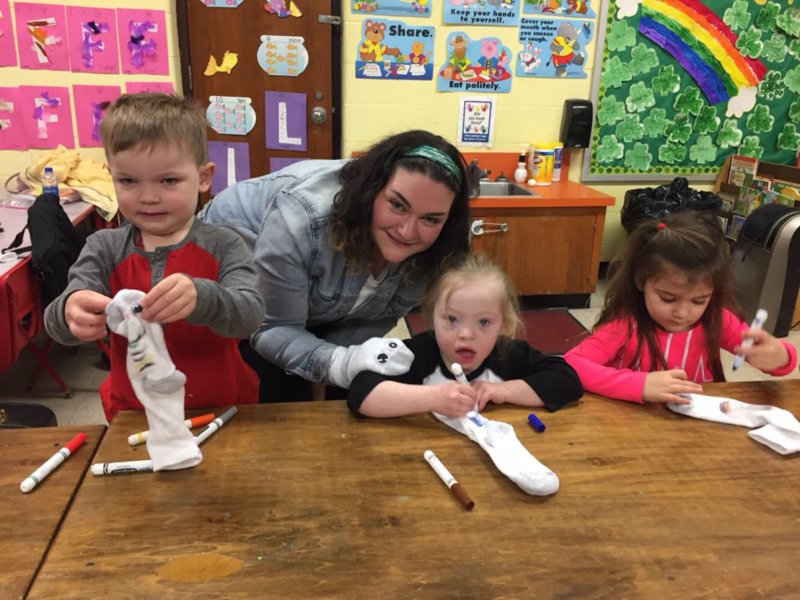 Rock Your Socks for World Down Syndrome Day | Art Sphere, Inc. The last day of classes during the spring session at Fishtown Recreation Center was exceptional sweet. 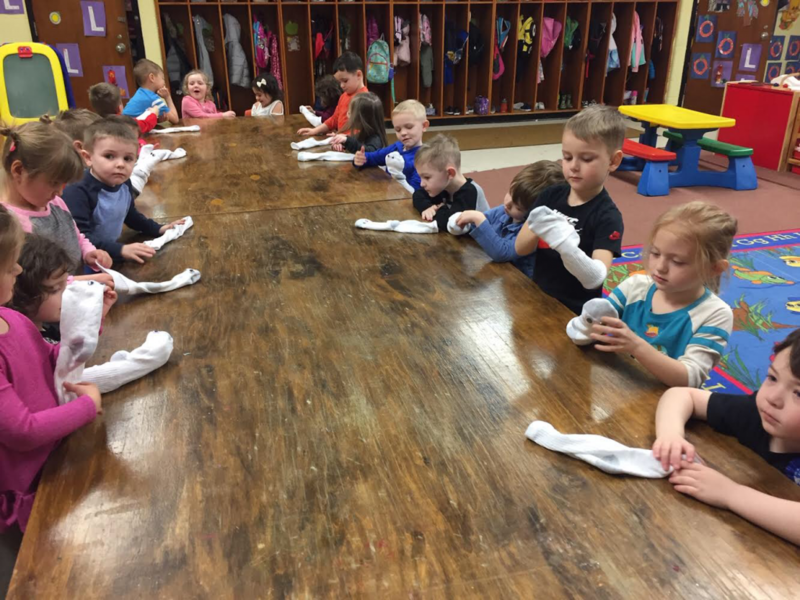 Miss Colleen, the lead teacher, planned to participate with Rock your Socks for World Down Syndrome Day. I was asked to incorporate a sock themed art project to celebrate and help bring awareness to down syndrome to support one of the very special students in the class. I decided to prep sock puppets by gluing on googly eyes. The day of the last class, I instructed the students to design their puppets by coloring on them with markers. I encouraged the students to make them all different in order to celebrate diversity amongst the students. Some students gave their puppets funny faces, or turned them into super heroes. 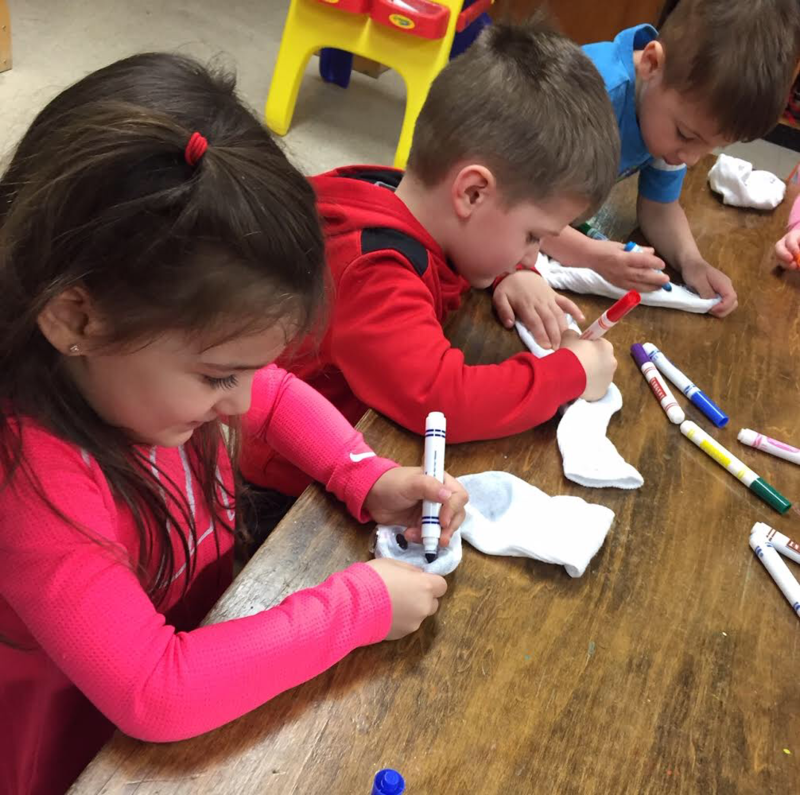 The students had a lot of fun with the project, and even ended up naming their sock puppets. It was important for me to have the students be engaged in the project and to have them understand the importance that being different is a good thing. The project really allowed for them to show self-expression in their work. I am proud to have taught such an amazing bunch of young minds. 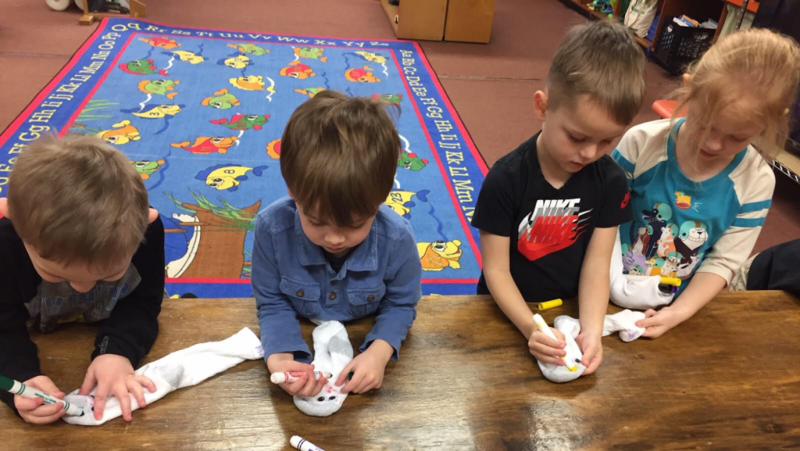 Share the post "Rock Your Socks for World Down Syndrome Day"